Are you a tennis player that desires to be treated by a physical therapist that knows the “in’s and out’s” of the game of tennis? Mic Bender, PT, DPT, OCS, CSCS, CTPS is the only physical therapist in Pennsylvania certified as a Tennis Performance Specialist (CTPS). He is a former collegiate and current USTA 4.5 level player. 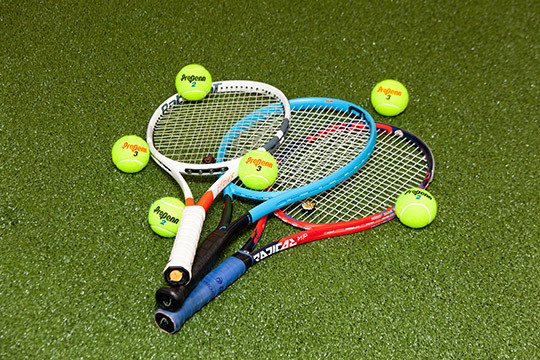 Conditions such as tennis elbow, golfer’s elbow, shoulder impingement, hip flexor strains, and other injuries can be better understood through a knowledge of the game of tennis and its associated equipment (grips, strings, racquets). In combining orthopedic knowledge with advanced expertise in principles of tennis biomechanics, training, and performance, Mic is able to offer a premier service to tennis players. iPad® analysis is also utilized for slow-motion evaluation of the tennis player.